Very little is known about the nine X-Craft built by the Soviet Union in the 1970s, and operated through the 1980s. The Project 1015 SPLC (aka SPLC) type was in some respects analogous to the British X-Craft midget submarine. SPLC stands for Special-purpose submarines (СПЛЦ - Специальные подводные лодки-цели), although the boats are also described as SPLT and SPLTS. The 9 SPLCs were distributed across all fleets: 2 in the Northern, 2 in the Pacific, 2 in the Baltic, 2 in the Black Sea and 1 in the Caspian. At least one was converted to an uncrewed craft and known as the Haddock. 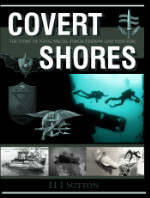 After World War Two the Russians became interested in naval Special Forces capabilities and paid particular attention to British wartime exploits and equipment. It is natural therefore that they might seek to emulate the X-Craft, which was still in service throughout the 1960s. The Italian CB Class and German Seehund may also have been influences. The SPLC is about the same size as an X-Craft but likely smaller on the inside. In line with post war design philosophy, the bow was more rounded than on the original X-craft, which would have optimized the SPLC for submerged performance. It retained the short fixed snort mast similar to postwar X-craft however, allowing her to run on the surface on just below, while running on her diesel engine. Combined with the dry interior, this would have increased range considerably over similar sized all-electric SDVs. In the Baltic, Black Sea and Caspian Sea this would have translated into a shore-to-shore capability without the need for a mother ship. For longer missions he SPLC could be towed like X-Craft were, and there is evidence of towing attachments on some examples. The high-visibility red and white striped paint scheme was typical of Soviet midget submarines during training. Even Swimmer Delivery Vehicles (SDVs) used by Spetsnaz often had this scheme applied to part of the hull. Some SPLTs appear to have had dark paint schemes also. 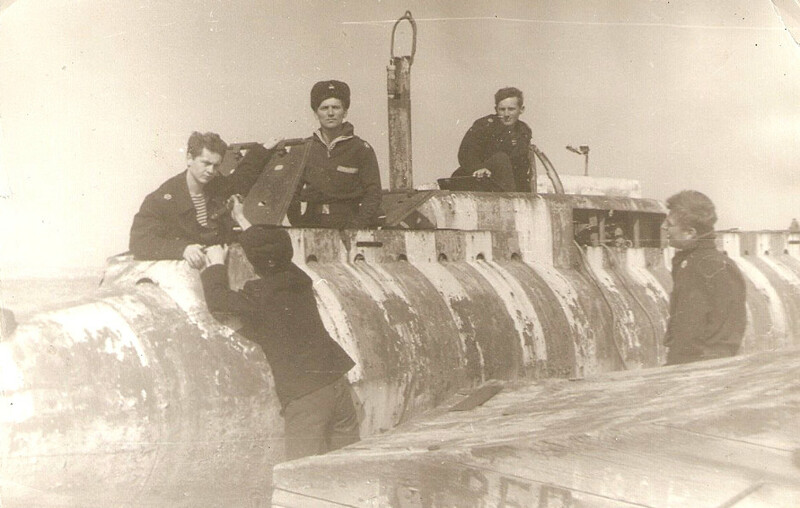 In service these midget subs kept out of the public eye and are rarely even listed among Soviet submarine classes. 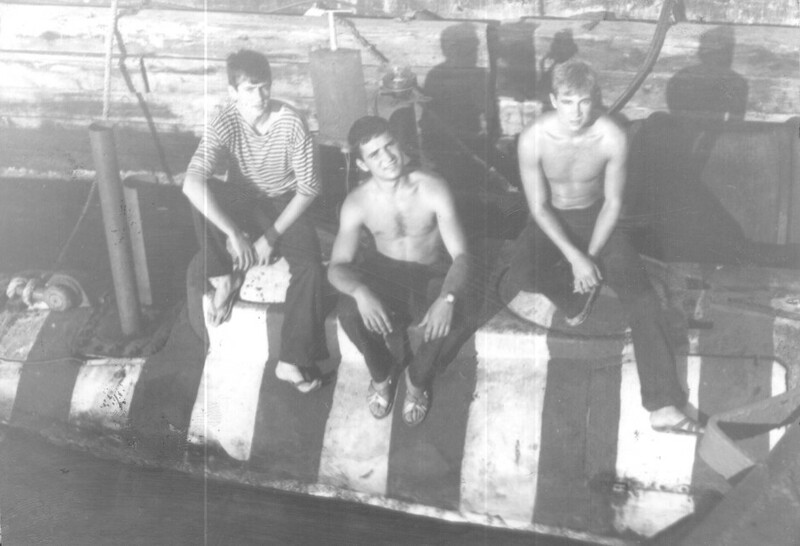 They were likely employed for testing harbor defenses, acting as inshore anti-submarine warfare (ASW) targets and for equipment trials. One SPLC is preserved in the Military History Museum in Baku. Even so, photographs and information is hard to come by. 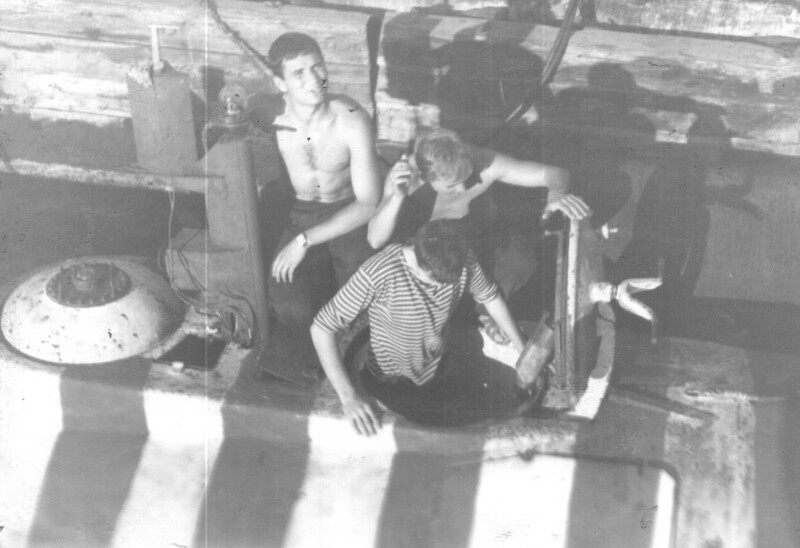 Crewmen working on an SPLC, Caspian Sea, 1980s. Presumably this is the same example which is now in the museum in Baku. Some of the SPLCs (at least two) were finished to a different standard which virtually eliminated the sail and had a more streamlined double-hull construction. The internal arrangement as also modified, as evidenced by the repositioning of the hatch. It is likely that the SPLT designation refers to the optionally-crewed conversion. Apparently some of the SPLCs were modified for unscrewed operation, likely via remote control. The additional aerials fitted to the streamlined SPLC suggests that these modifications were used on this version. Crew access remained an option however. At least one example, probably in the Black Sea fleet, was fitted with pump jet propulsion in place of the five blade propellers fitted to the baseline model. Pump jets are quieter than regular propellers and were first introduced to Cold War submarines by the British. Although it was a closely guarded technology in Britain, only admitted to relatively recently, the Soviets begun experimenting with it in the 1980s. The pump jet SPLT was likely the test bed for the full-size pump jet fitted to a single KILO Class attack submarine (Project 877V Alrosa), and more recent versions fitted to the BOREI Class ballistic missile submarines. The pump jet installed on the KILO Class submarine Alrosa. 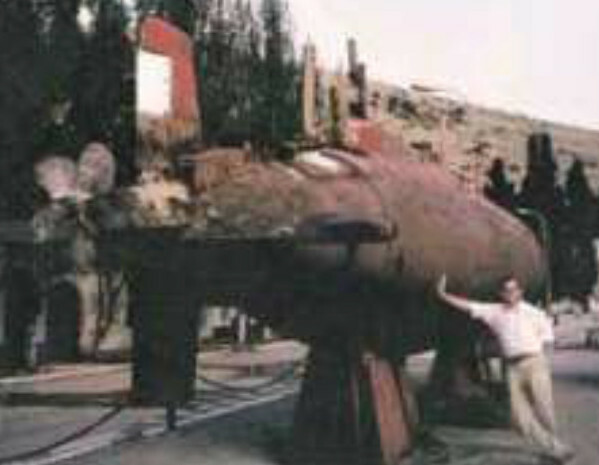 One SPLT, most likely the uncrewed Haddock, was modified to act as a hydrodynamic test vehicle for the massive Project 941 TYPHOON Class ballistic missile submarines in 1980-83 in Crimea. Another of the streamlined double-hulled SPLTs was modified to at as a hydrodynamic test vehicle for the Project 971 AKULA Class attack submarine. It appearsto have had the engine removed.